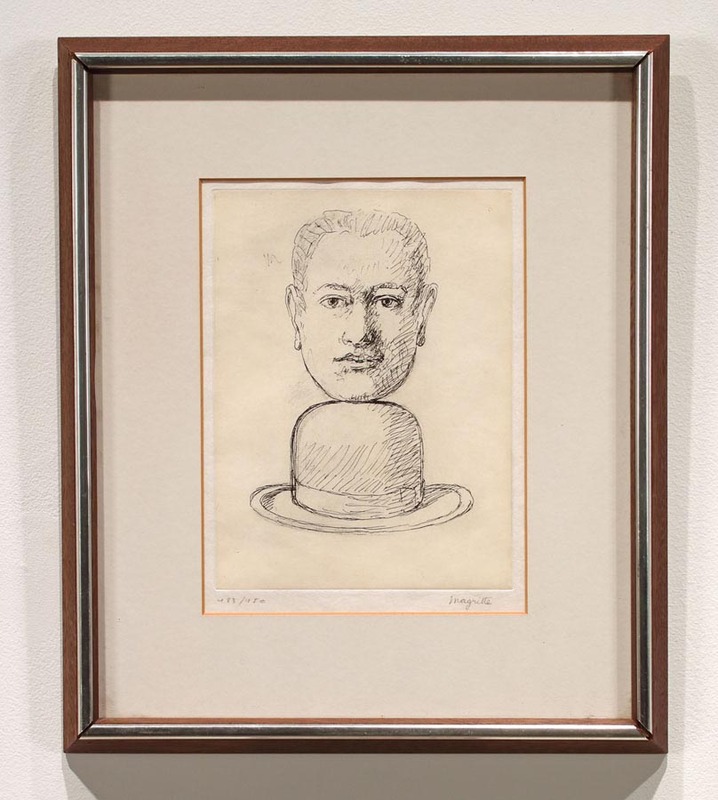 "Le Lien De Paille (Man With A Bowler Hat) , " From The Suite " Le Lien De Paille"
etching and aquatint in colours, on BFK Rives paper, 1966-1968, signed with posthumous signature stamp, (no hand signed impressions exist), With the authentication blindstamp: Gravure Originale Atelier Ren� Magritte � Original Etching Magritte Studio , from the edition of 150, (total edition of 350 including 150 on Japon paper), As published and printed by George Visat, Paris. Condition:In fine condition, full margins, framed in archival materials. References: Recorded and illustrated in the standard reference on the original graphics of the artist by Kaplan-Baum, No. 19. 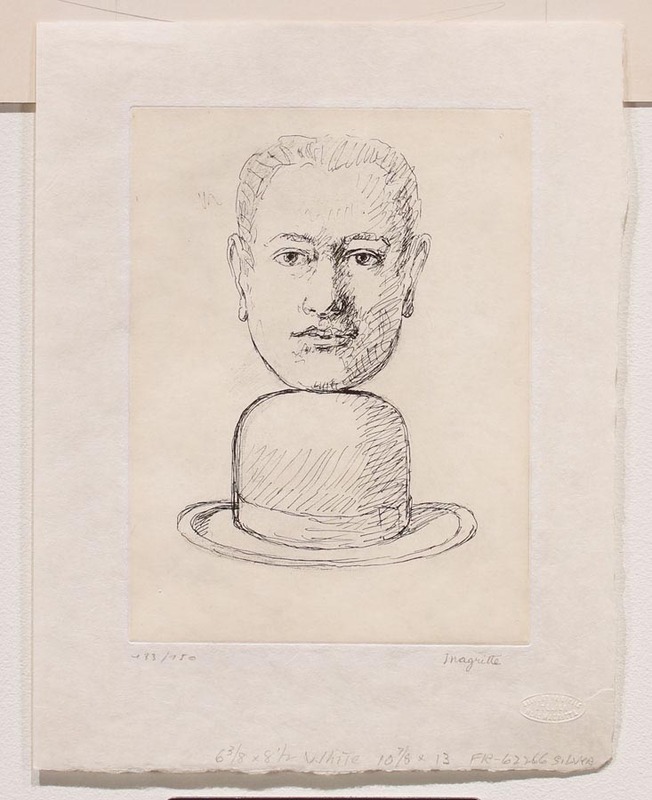 Note: Magritte was working on these etchings at the time of his death and the edition was published too late for hand signatures. The "Le Lien de Paille" series of four images were the last original prints by the artist whose original print output was only 20 images.